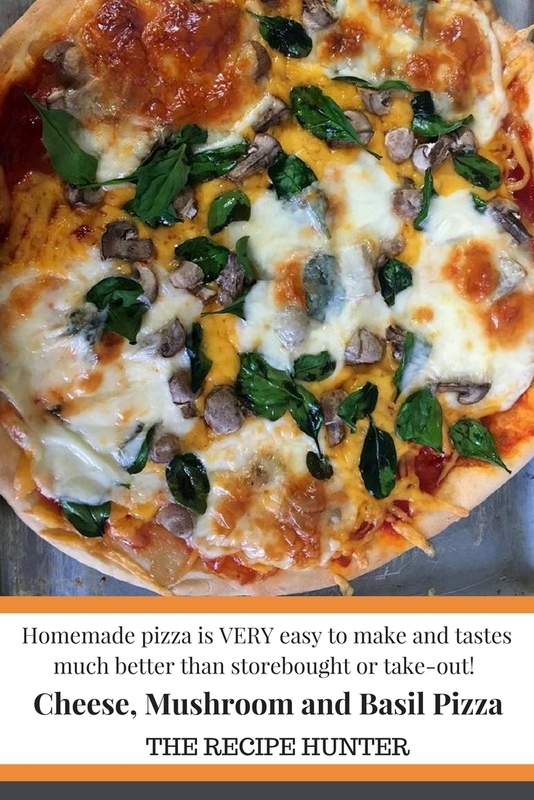 Homemade pizza is VERY easy to make and tastes much better than storebought or take-out! 1 store-bought ready made pizza base. A handful of grated cheddar cheese. Evenly spread the tomato sauce over the base of your pizza. Spread the grated cheese over, and add the sliced mushrooms. Sprinkle the fresh basil leaves over the top and add your slices of mozzarella cheese. And finely season generously with salt and pepper. Pop into a pre-heated oven and bake at 180C degrees until the cheese is nice and golden brown and bubbly.